CLEVELAND – When you’ve rolled out three successful helmets for the military in two years, what’s next? The answer for Team Wendy is to take its popular EXFIL® helmet line into a space none of its competitors have gone before. With more than 15 years of experience developing leading-edge products that protect against serious and potentially life-threatening injuries, the Cleveland-based company is launching two EXFIL models for search and rescue personnel and outdoor adventurers—the EXFIL SAR Tactical and EXFIL SAR Backcountry. 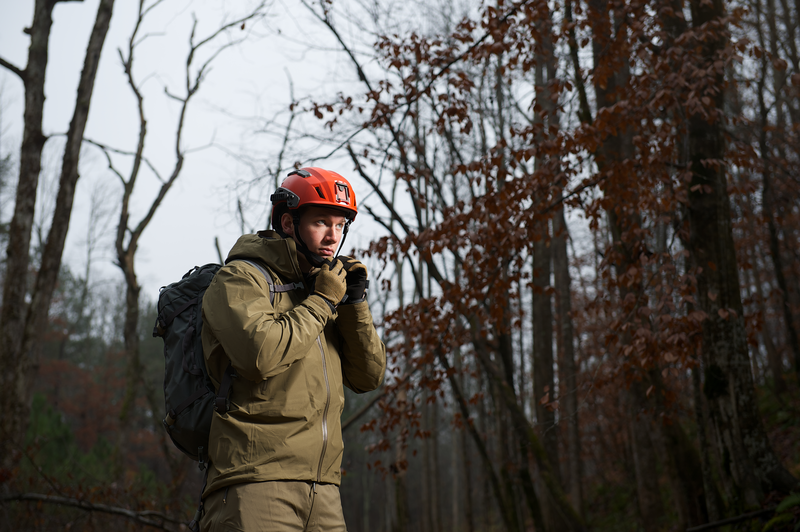 The two new models are the first search and rescue helmets built to offer tactical accessory mounting capabilities while providing protection that meets key industrial and mountaineering requirements. The Tactical model is optimized for use with night vision devices and features a machined aluminum Wilcox® NVG shroud insert as well as a four-point adjustable CAM-FIT™ retention system with full chin cup. For users who do not operate with night vision, the Backcountry sports a glass-reinforced polycarbonate shroud insert for mounting cameras and lights, and an under-the-chin retention strap with magnetic closure. Both models are ideal mounting platforms and are compatible with rail mounted accessories, such as the EXFIL Quick Release Adapter and EXFIL Peltor™ Quick Release Adapter. Additional accessories will be released later this year. The protection offered by the EXFIL SAR Tactical and EXFIL SAR Backcountry is highlighted by meeting a wide variety of performance standards, including EN12492 European Standard for Mountaineering Helmets, EN1385 European Standard for Whitewater Helmets, and current Advanced Combat Helmet (ACH) blunt impact requirements. The helmet also provides a high level of off-crown shock absorption not seen in many industrial and climbing helmets, meeting this requirement of EN14052 European Standard for High Performance Industrial Helmets. Both the EXFIL SAR Tactical and Backcountry models are available in the following standard colors: white, red, black and US Coast Guard orange. Each helmet is available in one size that fits a head circumference of 53-63 cm / 20 ⅞ - 24 ¾ inches (US hat size 6 ⅝ – 7 ⅞). The EXFIL SAR Tactical retails for $304.95, while the EXFIL SAR Backcountry is available for $179.99 (without side rails) or $215.94 (with side rails). EXFIL SAR orders are now being accepted, and Team Wendy will begin shipping helmets in February. The EXFIL SAR Tactical is optimized for use with night vision devices and features a machined aluminum Wilcox NVG shroud. The helmet also includes a four-point CAM-FIT retention system with chin cup for optimal stability and a Boa® Closure System to dial in precise fit adjustment while providing a single-handed quick release. The Tactical model also includes the SAR Accessory Rail 2.0 System, which allows for custom mounting. NOTE: EN14052 requires a low-strength chinstrap. The EXFIL® SAR is not fully certified to EN14052 in order to meet more rigorous chinstrap requirements of EN12492 and reduce the risk of losing the helmet during a fall. The EXFIL SAR Backcountry features a glass-reinforced polycarbonate shroud for mounting cameras and lights. It also includes a sport-style, under-the-chin retention strap with a Fidloc® magnetic buckle and a Boa Closure System to dial in precise fit adjustment while providing a single-handed quick release. The Team Wendy SAR Accessory Rail 2.0 System is optional. Team Wendy develops leading-edge products that serve to protect against serious and potentially life-threatening impact related injuries. Through its long-standing partnership with the U.S. military and the National Industries for the Blind (NIB), Team Wendy has supplied our men and women in uniform with more than 6 million standard issue Zorbium® Action Pad (ZAP™) helmet pad systems since 2005. Team Wendy also actively collaborates with world-class universities and organizations to better understand the causes behind traumatic brain injuries (TBI) and to develop products that focus on addressing what actually occurs during impact.